You probably already have a rough idea of what a spine is. Your spine is your backbone, and it allows you to walk on two legs as it supports your upper body. “Stenosis,” on the other hand, is a medical term not well known outside of the health profession. The word comes from ancient Greece, and it refers to a narrowing or a stricture. So spinal stenosis refers to the narrowing of the spine. Whether you or someone you know has the condition right now, it’s highly likely that you will know someone with a narrowing spine in the future, as it becomes more common with age. Read further to gain a wealth of information about spinal stenosis. You will learn its different types, its causes, who it impacts, and what you can do about it. You are either born with spinal stenosis or you develop it. About 90% of those with this condition develop it as part of the natural process of aging. As you age, your bones naturally go through a process of degeneration. This is called spondylosis. 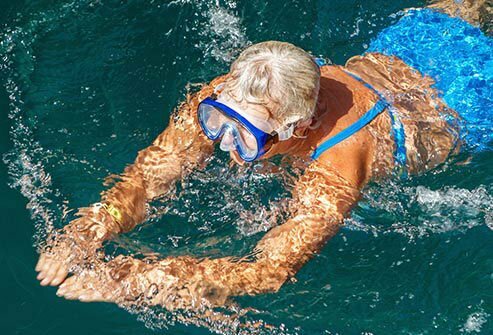 This process is worsened by osteoarthritis—arthritis of the bone that is felt in the joints. This leaves less space between your individual vertebrae which, along with loss of bone mass, can promote bone spurs. Your body’s facet joints begin to grow to account for the extra stress your back is put under by this process. That leaves even less space for the nerve roots that flow through your spinal cord and down your spine. In addition to these processes, the ligamentum flavum—the ligaments of the spine—can grow, which can impact the spinal column and cause either partial or severe spinal stenosis. When you age, the fluid-filled cushions between your spinal disks can begin to dry and shrink; they may also herniate (protrude or rupture abnormally) and squeeze the spinal nerves and/or spinal nerve roots. Most people acquire spinal stenosis in these ways. For others, the cause may be a traumatic injury, which can occur at any age. Sometimes other conditions may cause the condition, such as exposure to excess fluoride, Paget’s disease, tumors in the spine, infections or ankylosing spondylitis. Some who suffer from this condition were born with it. For some, the spinal canal starts out too narrow from the time they are born. This is often the case when a young person is diagnosed with the disorder. Since stenosis of the spine tends to be caused by the degenerative effects of aging, it’s no surprise that the older a person is, the more likely he or she is to acquire the condition. 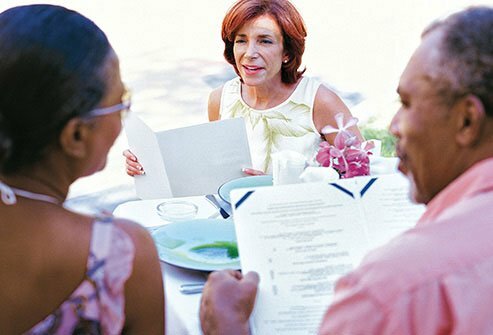 Women are more prone than men; In people ages 55 to 80, one large study found that about 1 in 4 women experiences spinal stenosis, compared to 1 in 10 men. Because the population of aging Americans is rising, the number of patients seeking relief from this condition is predicted by some in the health profession to double. Tingling, pain, or weakness in one or both legs. This discomfort becomes more severe after walking or standing for some duration. The medical term for this is neurogenic claudication, and it is very common when lumbar spinal stenosis is discovered. Often you will discover that leaning forward (like on a shopping cart) or sitting will relieve this discomfort. Clumsiness in the arms or hands. It may be difficult to tie bows, button shirts or blouses, etc. Most people with spinal stenosis are experiencing a narrowing in their lower back. This is called lumbar spinal stenosis, and it usually occurs at or near the base of the spine, near the hips. Along this portion of the spine, the spinal cord stops, while its nerves continue down the spine. This means the nerves lack the protection of the spinal cord along the area of the spine most prone to stenosis. Those vulnerable nerves are prone to being pinched within the narrowing channel inside the spine. 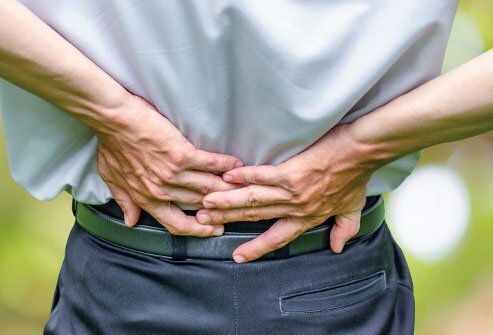 When that happens, the familiar symptoms of lumbar stenosis are likely—numbness and pain in the lower extremities, and hurting in the low back that is often relieved when a person sits or bends forward at the waist. Cervical stenosis involves a stricture in the neck. It is less common than stricture within the lower back. The affected nerve roots are different, and so the symptoms are different, too. Dropping things because of a loss of coordination, stumbling, tripping, and numbness that moves down the neck are all symptoms. Sometimes cervical stenosis can be confused with a much more urgent and potentially deadly disorder called caudia equine syndrome (see slide 4). Both can cause incontinence (loss of bowel and bladder control), and extreme weakness in the leg. So if you have either of those symptoms, the best thing to do is seek emergency medical treatment. Living with spinal stenosis can cause difficulty maintaining your usual level of activity. 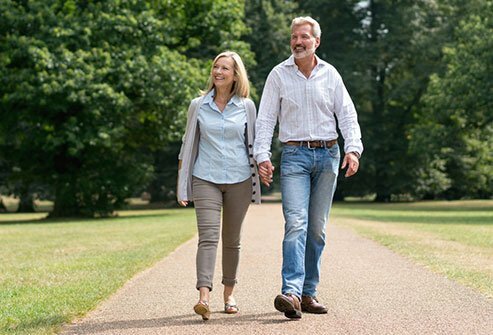 Common problems like pain and tingling in the legs make walking and exercise more difficult. Just getting through a shopping trip can become a dreadful ordeal. But for many, the symptoms come on gradually, which can make it difficult to understand what’s interfering with your usual lifestyle. If you suspect you may have this disorder, one way to tell is by paying close attention to your own posture. Do you find yourself leaning forward to relieve the agony in your back or legs? Try looking at photographs from a few years ago. Has your posture noticeably changed? Are you habitually stooping forward? Does the hurting ease when you sit or lie down? Has your backbone become too narrow, or is the narrowness happening further inside the arteries that lead to your legs? Sometimes painful legs, cramping, and difficulty walking, often associated with spinal stenosis, are actually caused by peripheral artery disease (PAD). PAD is usually caused by plaque that has built up around the inner walls of an artery, restricting blood flow. Only a doctor can determine which of the two is causing your discomfort. There are two important differences between the symptoms of these two conditions, though. PAD leg symptoms worsen when moving uphill, and unlike constricted spinal nerves, bending forward won’t offer any relief from PAD discomfort. This disorder usually comes on gradually, which may make it difficult to decide when the right time to talk to your doctor is. If your symptoms come on suddenly, don’t wait—call the doctor. If your occasional leg weakness or pain becomes typical, that’s also a good time to see your doctor. Another sign that it’s time for professional care is when any vomiting or fever accompanies your back pain, back pain that lasts for more than two weeks, and a leg that hurts and gets no better after a week--even though you are treating it at home. If you suddenly lose control of your bowels or bladder, this is a medical emergency and you need to be seen immediately. How Will the Doctor Assess Your Condition? After you experience symptoms, the first step is to visit your doctor. A general practitioner will go over your medical history, discuss your symptoms with you, and talk about your daily habits to try to rule out other causes. If you’ve been injured or experienced other health problems, those will be taken into consideration as well. Then a physical exam will take place to determine what muscles may be weakened or numbed. 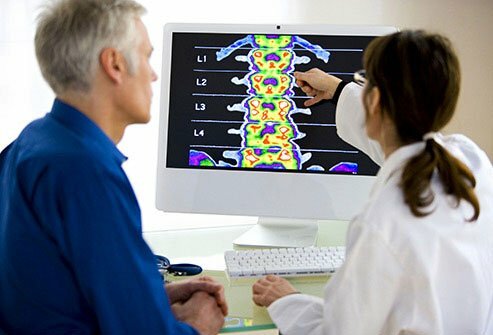 If spinal stenosis is suspected, the next step will be further testing, which could take the form of a variety of diagnostic imaging studies. What Machines Assist in Diagnosis? X-Ray: Standard X-rays can show boney areas but not soft tissue like nerves, ligaments like the ligamentum flavum, and the spinal cord. The bone spurs that cause stenosis of the spine can be spotted in this way, as can spinal dislocation and any abnormalities in spinal curvature. 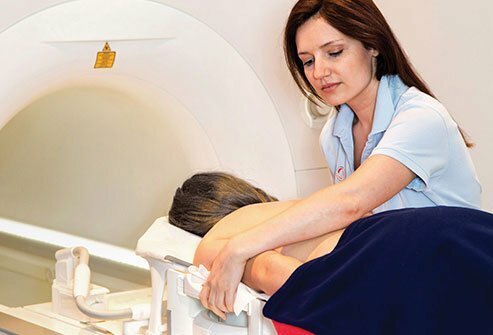 MRI: Magnetic resonance imaging (MRI) picks up the soft tissue that X-ray machines cannot. They can detect the exact location where nerves have been compressed. MRIs can give doctors a 3-D view of the backbone. Tumors, abscesses, and cysts can also be identified in this way. CT Scan: Computed Tomography (CT) scans use X-ray beams to examine your backbone for any structural changes to the bone. It does this by presenting 2-D “slices” of each segment of bone, allowing doctors to pinpoint the location of any problems in your back. Myelogram: This advanced form of X-ray is used along with a dye injected into the spinal canal. This dye can be seen by a myelogram. It can illuminate areas where nerves are being pinched, and can also identify spinal abscesses and spinal cord tumors. Doppler Ultrasound: This test scans your blood flow using sound waves. 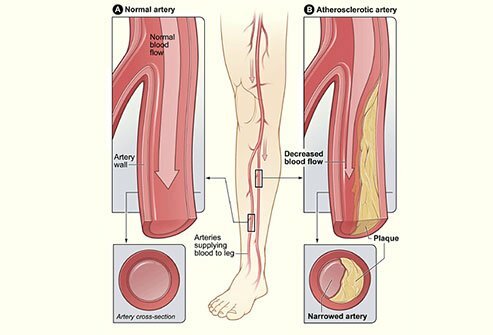 Typically a test like this would be used to determine whether peripheral artery disease is causing your symptoms. There are several key interventions you can use if surgery is decided to be a poor option in your case. Among them is practicing good posture. Keeping your spine properly aligned is crucial, whether sitting, standing, or lying down. 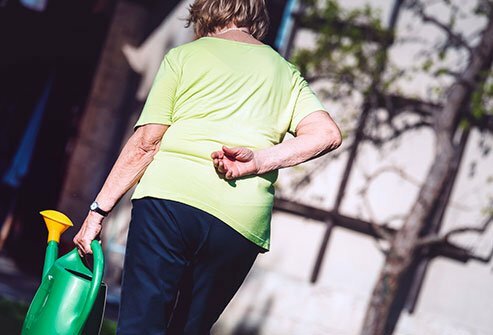 Learning to lean forward while you walk can help relieve pressure, and may be easier using a walker or shopping cart for support. 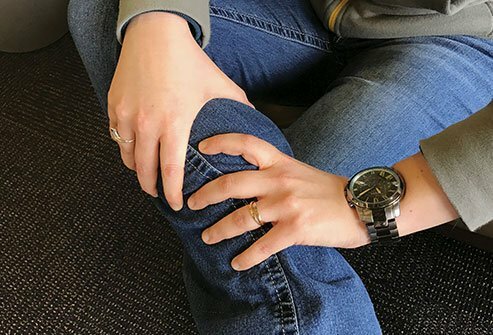 Tucking your knees up in the fetal position can similarly relieve pressure. Losing weight is another way to relieve your discomfort. That’s because the more weight your back has to carry, the more pressure will impinge upon the increasingly narrow space in the spinal column causing problems. Learning to balance rest with activity can also bring relief. 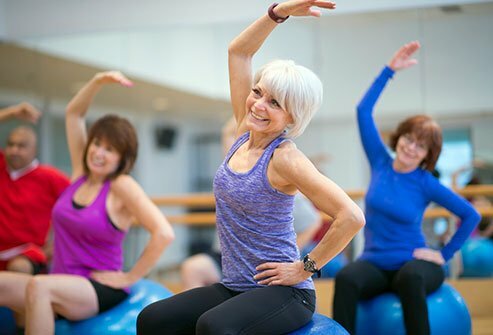 Giving your body the rest it needs when it is in pain is important, but so is challenging it in healthful ways by increasing your aerobic activity. A trained medical professional can assist you in finding the right balance. This may include physical therapy, in which you will learn to exercise your back, leg, and core muscles in healthful ways. Stretching is also important to this process, because it can provide your back and limbs greater flexibility over time. If your stomach muscles are weak or you have several points along the backbone that are impinging on your nerves, your doctor may recommend a back brace. Back braces can offer support and help return you to greater mobility. Some patients will also find pain relief and wellness tips through holistic therapies. These may include acupuncture, acupressure, biofeedback, and the use of nutritional supplements. Often the first course of treatment will come from drugs. These can be oral medications or of injections, and their use is dictated by the severity of the crimped nerves and their location. 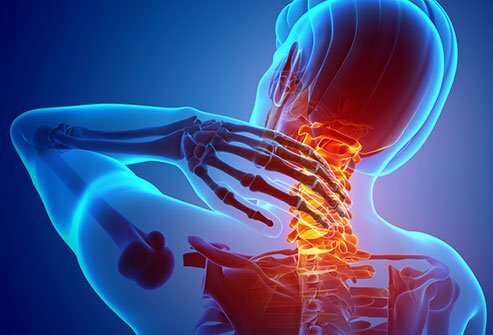 Sometimes the cause of the pain and disability that stems from this disorder comes from inflammation, which can impinge upon the nerves that flow down the backbone. If this is the case, some nonsteroidal anti-inflammatory drugs (NSAIDs) may offer relief. However, acetaminophen has no impact on inflammation, so it is usually not recommended. 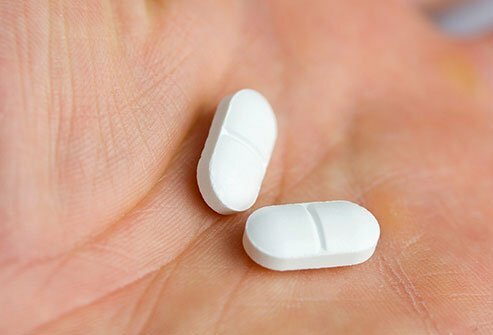 Likewise aspirin is not recommended because it takes high doses of aspirin to get maximum ant inflammatory results, and at that dose the drug can be harmful to the stomach. If the disorder is making it difficult to sleep, your doctor may prescribe muscle relaxers. Muscle relaxers make you drowsy, so this form of relief is usually best taken in the evening. Muscle relaxers can increase the pain-relieving qualities of NSAIDs. Certain specific forms of the disorder can be aided by gabapentin, carbamazepine and other anticonvulsants, which can offer sleep and relief from chronic pain. These drugs take a few weeks to work, so they are not suitable for acute pain. Steroids may be taken orally or as injections. Oral steroids have the advantage of relieving pain within 24 hours. Injections are used for severe pain. Epidural injections may be used up to three times a year to reduce inflammation and swelling, though their effects are usually temporary. Antidepressants can be helpful for nerve pain, but for older patients they may be a poor choice due to their side effects. These include dry mouth, dry eyes, constipation, and sleepiness. In cases of severe pain, a short course of opioids may be prescribed. Because of their addictive properties, these drugs may come with special requirements, potentially including addiction counseling. Depending on the nature of your disorder, one of several surgeries may be selected, or none at all. Some variations of stenosis respond well to surgical treatment, whereas others do not. Surgery tends to be more useful in treating leg pain than back pain, for instance. 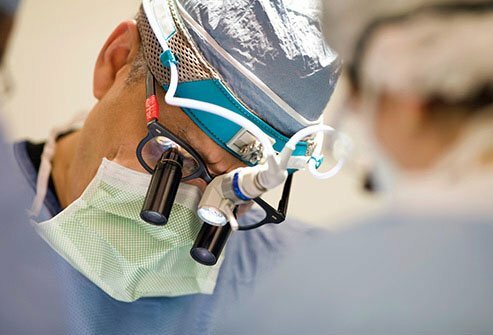 The purpose of surgery is to relieve pressure from the nerve roots, as well as to make the spine stable if it has become unstable through the shifting caused by the disorder. There are many variations of surgical procedures that are individualized for your problem; the following describes the main types of surgical procedures. 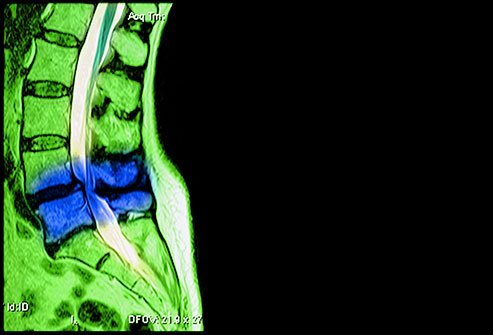 The goal of this surgery is to stop a disc from pressing on spinal nerves and/or neve roots by removing all or part of a herniated disc. 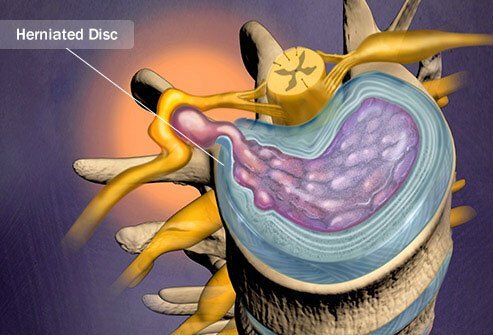 A form of spinal decompression, laminectomy refers to the removal of the arched section of the backbone called the lamina. If you also have a herniated disc, the disc can be removed during this process as well. This surgery has a success rate of about 80% for lumbar spinal stenosis. Sometimes unstable vertebrae rub against one another, causing agony in your legs, back, and arms. If this is the case, a surgery can be undertaken that fuses the bones together, making them more stable and preventing further nerve damage. If you are considering this option, it is important to know that it rarely cures a hurting back, which tends to respond better to exercise and physical therapy. However it can allow you to return to a more active life, even if it does not completely relieve pain. Fusion can take many forms. Your backbones can be fused with metal devices, bones from a bone bank, bones from elsewhere in your body, or through the aid of your natural healing process. Once the fusion has taken place, the area is secured by screws, hooks, metal plates, rods, or cages. Then the backbone will begin to heal, a process that takes three to six months. You may be eligible for a less-invasive surgical treatment, depending on the evaluation of your doctors. The foramen are openings that exist between every pair of vertebrae from your neck down to the base of your spine. These openings are where the nerve roots from your spinal cord exit in order to relay information from around the body back to your brain. In some cases one of the openings can become too small, which can cause cord compression and nerve compression. This may require a surgeon to widen it. Foraminotomy is typically an elective surgery that is used after nonsurgical interventions have already been attempted. This is a relatively new surgery that uses spacers to make your spine mimic a sitting position even while standing. As sitting tends to relieve the agony of this disorder, such a procedure can be effective for the pressure placed on the nerves. This procedure can be done with only local anesthetic. Although it carries less risk than major surgery, this process is new, so results are not known over the long term. Also because it is new, it may not be covered by your insurance. The surgical incision should be kept clean and dry for a week following your procedure. Sponge baths or showers are recommended, so long as the surgical area remains dry. Some patients find that covering the area with plastic wrap helps accomplish this. Typically an appointment is made to see your doctor one to two weeks following surgery. During that appointment, the doctor will remove any sutures or staples remaining from the procedure. This is also a time for you to ask questions and learn from your doctor or nurse about the best way to care for your dressing. Since individual surgeries vary, the advice given will depend on the patient’s surgery and medical condition. There are a few warning signs to be aware of following surgery. The hospital should be called right away if you experience a temperature over 101 degrees, if you experience severe pain and medication does not help, if you experience any new numbness in your feet or hands, if the surgical site becomes red or swells, or if you notice the look, smell, or amount of drainage from the incision has changed. In general, call if you have any questions about your surgery. You will want to be especially careful about returning to activity for the first month following surgery. During the first week, limit your activity to sitting, car rides, and easy walking. You should not bend at the waist, nor should you stoop or twist. If you need to bend over, do so by bending at the knees rather than the back. Only sit in firm, upright chairs that do not allow your posture to curve or slump. Avoid lifting even small items, and, when absolutely necessary, hold such items close to your body. For the first month you will be advised not to garden or do housework. Jogging is definitely off-limits. Your doctor or nurse should also explain how to get out of bed in order to put a minimum of stress on your spine. Once your doctor has given you the all-clear, you should gradually ease back into activity a little at a time. For example, you can take a short walk with lots of rest. Do this every day, and you can extend the distance just a bit day after day. There are many reasons why surgery may not be the best option for you. 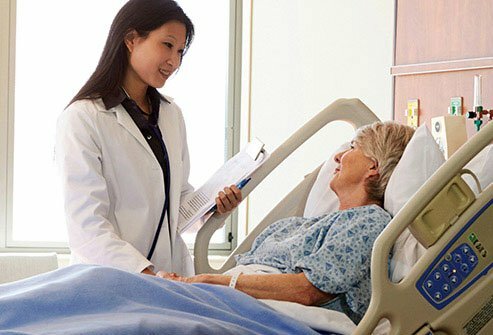 You may have a preexisting condition that makes surgery more risky than usual, your disorder may not have progressed to the point of needing surgery, or you may have a type or level of severity that would be poorly treated through surgical processes. Whatever the reason, it’s important to know that there are ways to relieve your pain and dysfunction without surgery. Proper posture is always a good idea, but with lumbar spinal stenosis it takes on a whole new importance. Observing good posture comes down to paying attention to maintaining the alignment of your spine, whether standing, sitting, or lying down. This helps your back maintain your weight more evenly, and can help prevent various injuries to your vertebrae. Learning how to bend and lift with a minimum of back strain is also helpful for avoiding further injury. In addition to paying attention to posture, physical therapy can help you get moving again. 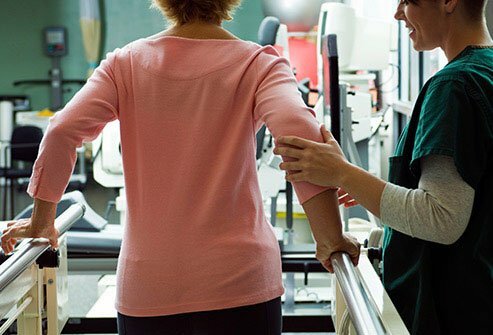 A qualified physical therapist can offer insight into the best ways to lift, walk, and carry yourself, and teach you to strengthen your back and corresponding muscle groups so that you can live with less discomfort. 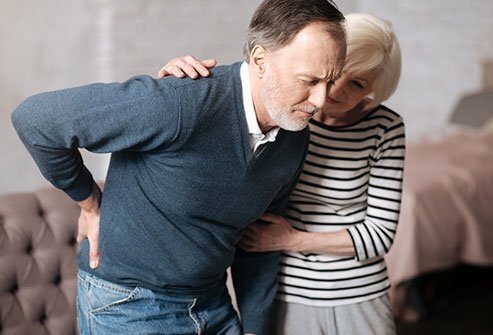 Osteoarthritis causes lumbar spinal stenosis, and almost everyone has osteoarthritis—arthritis of the bone—in their back by the time they turn 50. So preventing the disorder is really not an option, as it results from the natural, degenerative aging process. By following these tips, you will give yourself a stronger back that carries a lighter, better-distributed burden. And that could help preserve your health into the future.